We’re No. 1! We’re No. 1! We’re No. 1! Outside Magazine ranked the “5 Best Summer Hammocks” back in July, and we’re proud to say that our durable, lightweight and affordable Easy Traveller topped their charts. Not only was it at the top of the list, but the Easy Traveller’s little cousin — the Traveller Lite — earned one of two honorable mention nominations. That’s a total of two of our lightweight camping hammocks among the seven hammocks rated on their list. To read the full story, and see the complete list of Outside’s “5 Best Summer Hammocks,” CLICK HERE. His 65-hour work week is over. He’s coached every Little League practice for the last 97 consecutive days. The lawn is mowed, the hedges trimmed and the garden planted. How do you thank the Dad that does everything for you and your family? Simple: Get him everything he needs to enjoy a summer afternoon in the very backyard he just finished perfectly manicuring. 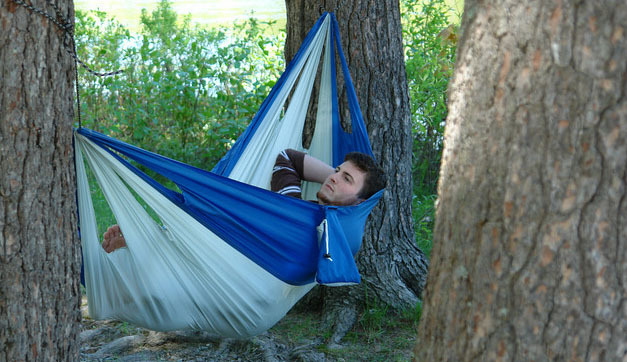 It’s our Father’s Day Combo — a complete hammock setup, including hammock, stand and pillow. You’re asking, and we’re answering. Because we’re so close to warmer days and summer events, we’re seeing lots of you getting ready by getting your hands on new gear and giving some of what you already have a much-needed freshening up. There’s no reason to travel all the way to the Four Corners to flip a coin. You’ve got questions, and we’ve got answers all bundled up nice and neat right here. In today’s edition of the mailbag — the first edition, for those of you scoring at home — we’re talking hammocks, cots and bird homes. 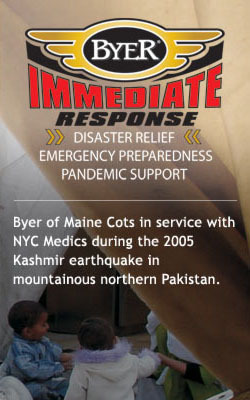 Here are three of the most frequently asked questions from the Byer of Maine community at large. With answers! This might not actually be the “most frequently asked question” about hammocks, so I’ve already failed to deliver on what was promised above. That honor goes to “How do I hang my hammock?” — but that question was already answered in a previous blog post. 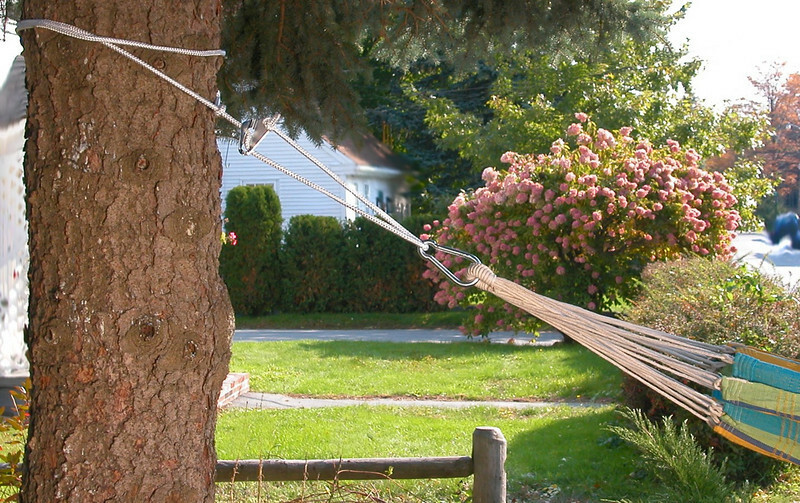 When it comes to how to hang a hammock, you can make it as simple or as complicated as you choose. Frankly, there’s nothing wrong with finding a couple of sturdy trees roughly 10-12 feet apart, tying a couple of ropes around them and enjoying some much-deserved R&R right then and there. 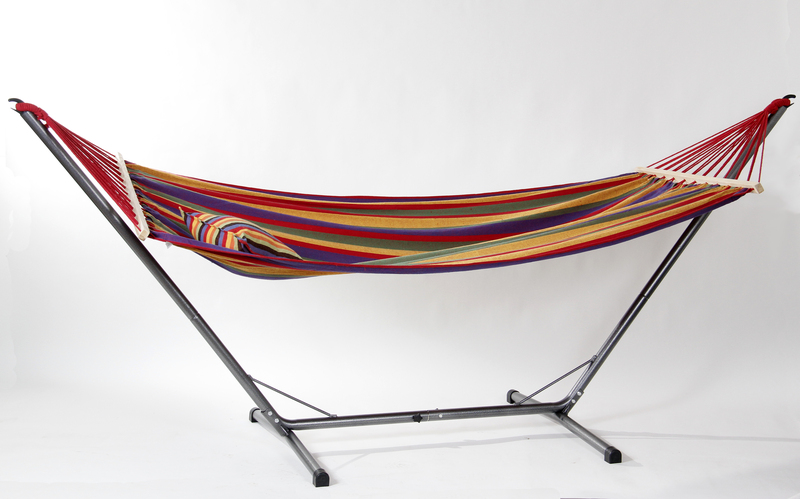 There are, of course, other things to consider — like where you want to use your Brazilian hammock, whether you plan to travel with it, or if you want to hang it in a spot where there may only be one tree or patio support beam.